FDM Nylon 12 offers up to five times greater resistance to breaking & better impact strength compared to even the strongest FDM materials. The new material's elongation-at-break specification surpasses that of other 3D printed nylon 12 material by up to 100% based on published specifications. This can create new opportunities for manufacturers in the aerospace, automotive, home appliance & consumer electronics to more easily create durable parts that can stand up to high vibration, repetitive stress or fatigue. Examples include end-use parts, like interior panels, covers, environmental control ducting and vibration-resistant components, as well as tools, manufacturing aids, and jigs and fixtures used in the manufacturing process. Nylon is one of the most widely used materials in today's plastic products, and among FDM users it has been one of the top requested materials, It is the first semi-crystalline material and the toughest material ever offered by Stratasys. ideal for applications requiring repetitive snap fits, high fatigue endurance, strong chemical resistance, high impact strength or press-fit inserts. 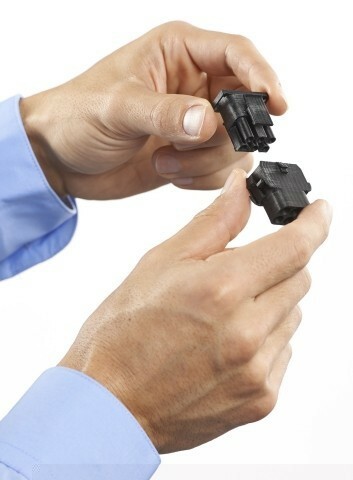 This material offers users a clean, simple way to produce nylon parts with an additive process." FDM Nylon 12 is available for the Fortus 360, 400 and 900 systems. FDM Nylon 12 is initially offered in black, and is paired with SR110, a new soluble support material optimized for FDM Nylon 12. Support removal requires virtually no labour and is conveniently washed away in the same cleaning agent as other FDM soluble supports. Conquer advanced 3D printing applications. 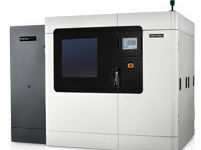 The Fortus 400mc raises the ceiling on competitive advantages to be gained from additive manufacturing. 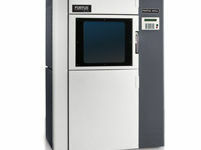 The Fortus 900mc is Stratasys most powerful Fused Deposition Modeling (FDM) System. 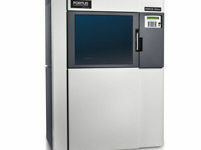 It’s a true production level 3D printer and Rapid Prototyper being both accurate & cost-effective.